The popular CodeIgniter framework is well-known among developers. It is great for creating a variety of sites: from small corporate pages to online stores with large catalogs of goods. However, after is completed, there is a issue of further optimization of resources. This is particularly true for the sites that have an abundance of images. Optimizing the code can help slightly increase the speed of loading pages, but you need to work with images, as with the source of the problem. Reducing the images for CodeIgniter is not provided by the standard framework. To do so you need to install third-party solutions. The image compression plugin for CodeIgniter under the name of OptiPic will perfectly cope with the task. Compression of images in CodeIgniter will be carried out in the background. OptiPic is capable of reducing the size of images by an average of 70%. Practice has shown that reducing the images in CodeIgniter helps to accelerate the loading of pages by 2-3 times. The image compression plugin for CodeIgniter is easy to install. OptiPic does not require special skills and starts working immediately after the preliminary setup. How can optimizing images for CodeIgniter speed up a site? 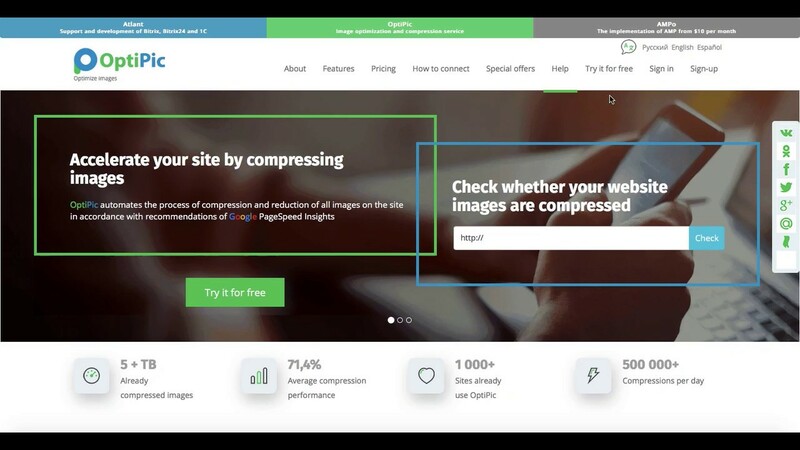 How to get started with OptiPic service for CodeIgniter for image compression?